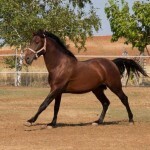 BANQUERO is a horse measuring 1.64 in height and with a black coat, his physique is rangy and has a powerful rump, very angular shoulders and a neck perfectly inserted and offloaded. 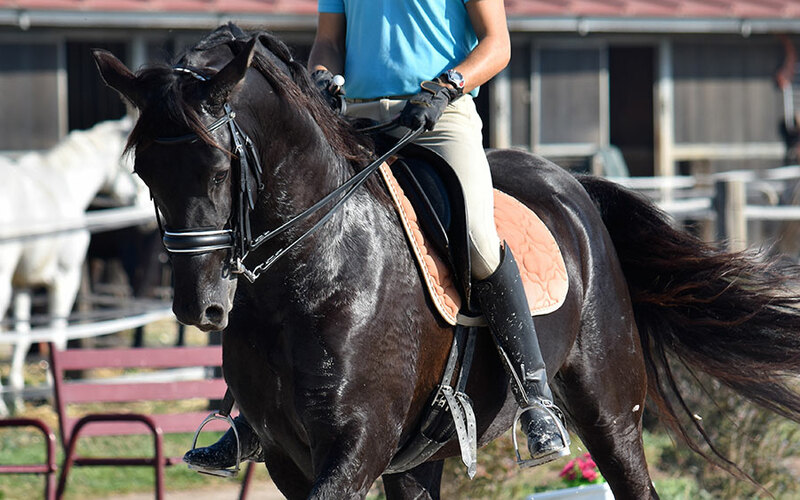 Furthermore, it has a notable girth and an excellent character, a characteristic that makes it easier for his rider to be ahead of the training schedule due to ease of aiding. FERRO JAV II is a black foal measuring 1.65m in height with a very good physical structure, naturally talented and boasting an excellent character for classical dressage. Added to this we have the natural beauty that can be seen in in these images. Its movements are summarized in a very large step, very regular trotting with magnificence upon entry of the posterior region, with hands reaching forward whilst being equipped with uncommon suspension. Its canter is simply magnificent, very high and very upward facing, always maintaining the pace and great balance. 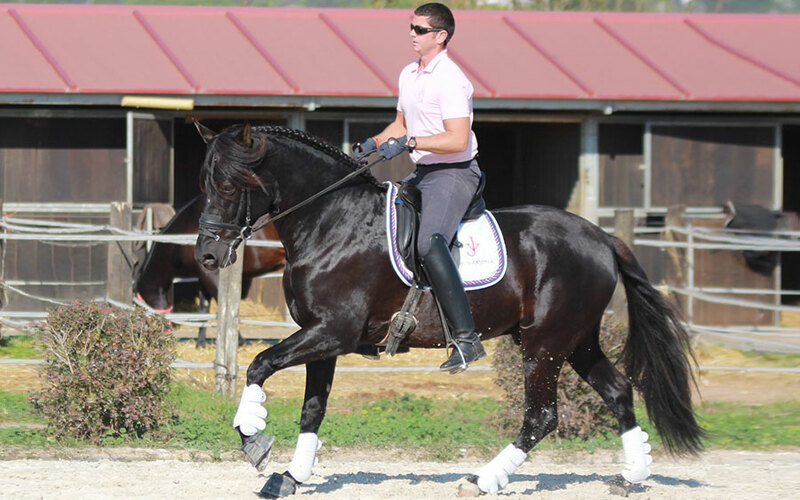 Its head is very good, since in the first month of dressage it already showed its easy character, accepting the rider’s aid without any opposition, with a great balance in all its airs and an excellent character.